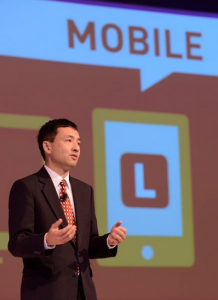 Laserfiche CTO Karl Chan announces new updates to the Laserfiche product suite. Empower 2014 attracted more than 2,000 Laserfiche customers, resellers, industry analysts and members of the press for a three-and-a-half-day whirlwind of product announcements, keynote sessions, awards ceremonies, parties and educational classes and labs. Peter Wayman presents Adam Galvan Jr. with the Tom Wayman Leadership Award. Doug Miller, Operations Manager at Canadian Seed Growers Association, said, “After the first day of Empower 2013, I was a Laserfiche believer, and then a dreamer.” He went on to build more than 50 workflows that have revolutionized the way his organization does business. 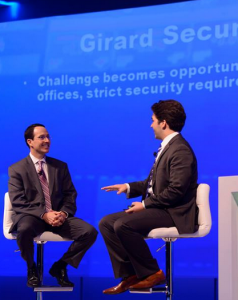 Girard Securities COO John Barragan discusses implementation strategy with Andrew Brown. 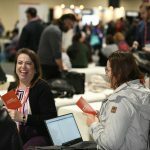 The Info Center provided a place for conference attendees to meet with software developers and presales engineers one-on-one to get answers to their most pressing questions. Laserfiche Answers, the new online Q&A community that Laserfiche CTO Karl Chan announced during his keynote session, also saw lots of action—as did the dance floor at Wednesday’s energizing Special Event! Video of Karl Chan’s keynote session. Highlights from Chan’s keynote session. Highlights from the customer keynotes. 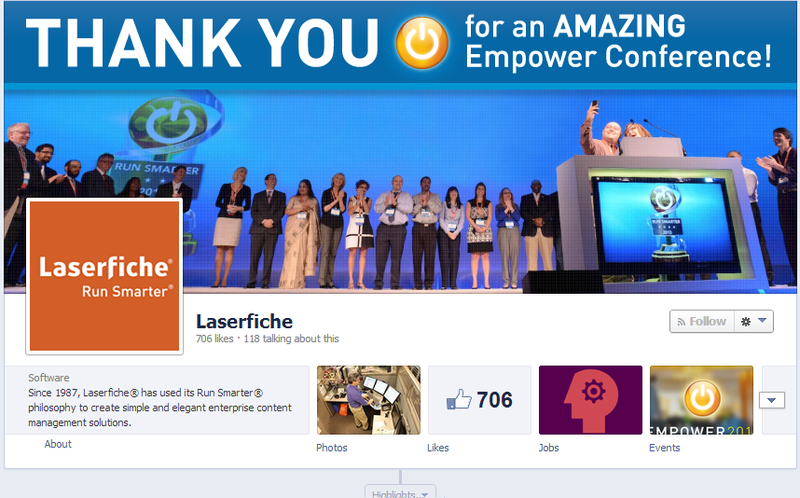 Slideshare featuring the Laserfiche Run Smarter® award winners. 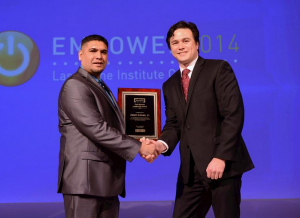 Overview of Empower 2014 on Twitter. You can also see all of the pictures from the event over on the Laserfiche Facebook page. Be sure to like us and be one of the first to hear about our upcoming social competitions!